Hot wheels custom 01 Acura Integra GS was initially taking the debut as the Night Burnerz. The first production was at 2016 and it still has the spotlight till today. The designer is Ryu Asada with the series number DHP06. If you are the car miniature enthusiast, Hot Wheels might not sound so strange for you. So, if you want to complete your collection about car miniature then this car should be one of your collection pieces. The original color is yellow but I guess there will be other colors according to the versions available in the market. It is not the rare collection but worth to buy. When we talk about the Acura’s entry level, this version or the Custom 01 Integra GS embodies all of the virtues that already established Acura as one of the import brands that has luxury and becomes the lead as well in the market of US. The features are representing the superb road manners with the excellent quality on the handling. It is also equipped with the powertrain with advance features. Besides, the exterior shape offers the aerodynamic look without have to leave the comfy aspects. The cockpit was designed to fulfill the human’s need about ergonomic which promotes the safety and enjoyable driving. Acura automobiles always give the full dedication to a proposition that makes driving experience as a wonderful reward and this is also applied on the Integra version. It basically looks like a Honda Integra GSR 2001 with a custom bonnet and JDM. And there are several versions of this car since the first year it was manufactured. In 2016, the Night Burnerz launched the product with Dark Yellow and Pearl White color. The Acura logo is located on the rear and the base material is plastic. Yellow car has the black interior and wheel while the pearl white has the red interior and black wheel. The second type was launched in 2017 with under the name of HW Speed Graphics. The colors are white and unpainted with Tein logo on the hood and on the sides. The base material is black plastic. The white car has J5 wheel and the unpainted car has black wheel. There will be another type in 2018 but the data is unavailable yet. Most collectors give 9/10 for the version of 2016 while the 2017 version is only 3/10. 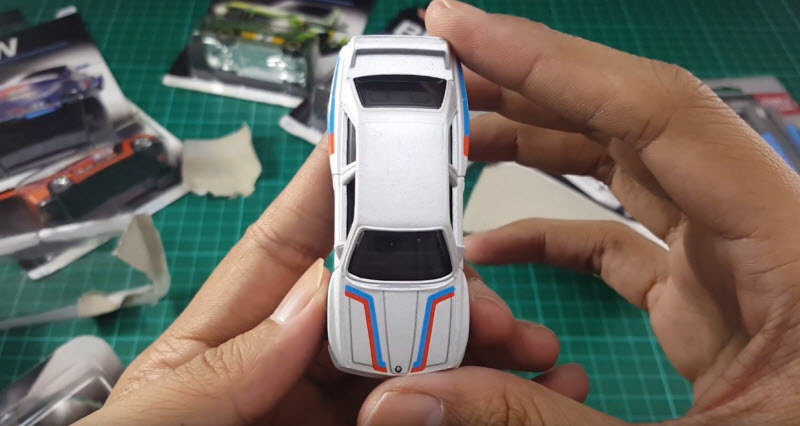 What do you think about Hot Wheels Custom 01 Acura Integra GS?